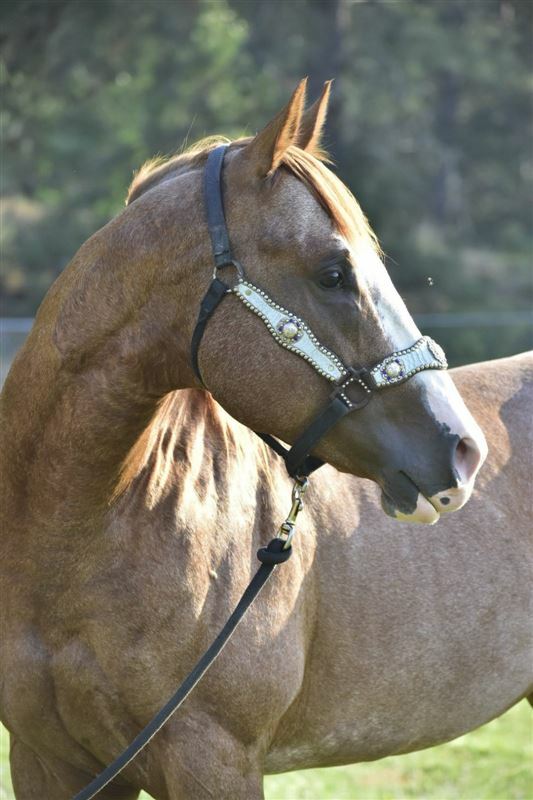 His Introductory Stud fee is $500 with a $250 booking fee. 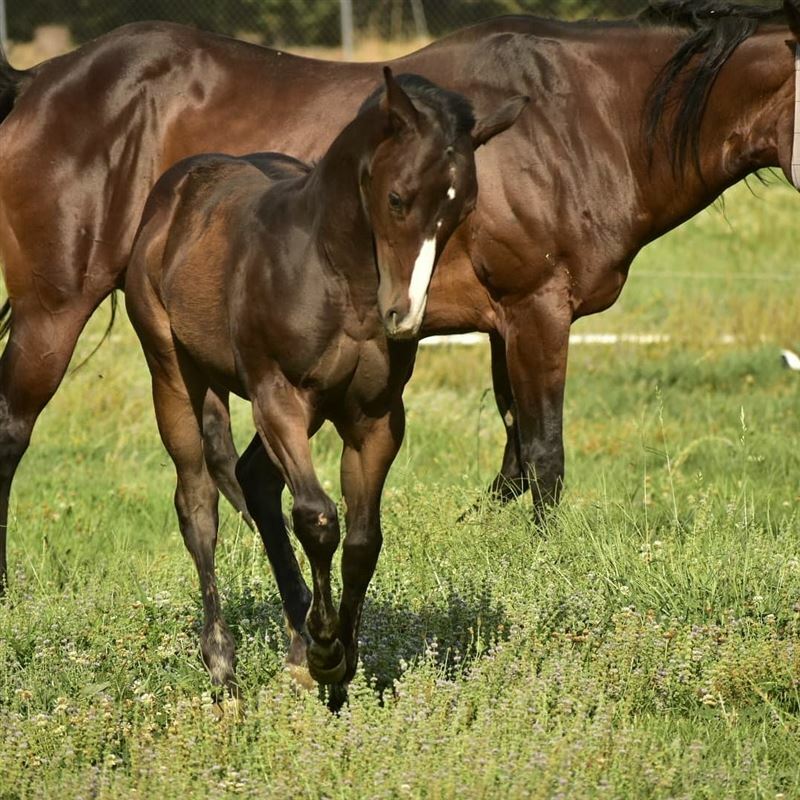 Be among the first to get one of his babies to take advantage of the low stud fee it will increase when we get some foals on the ground!! 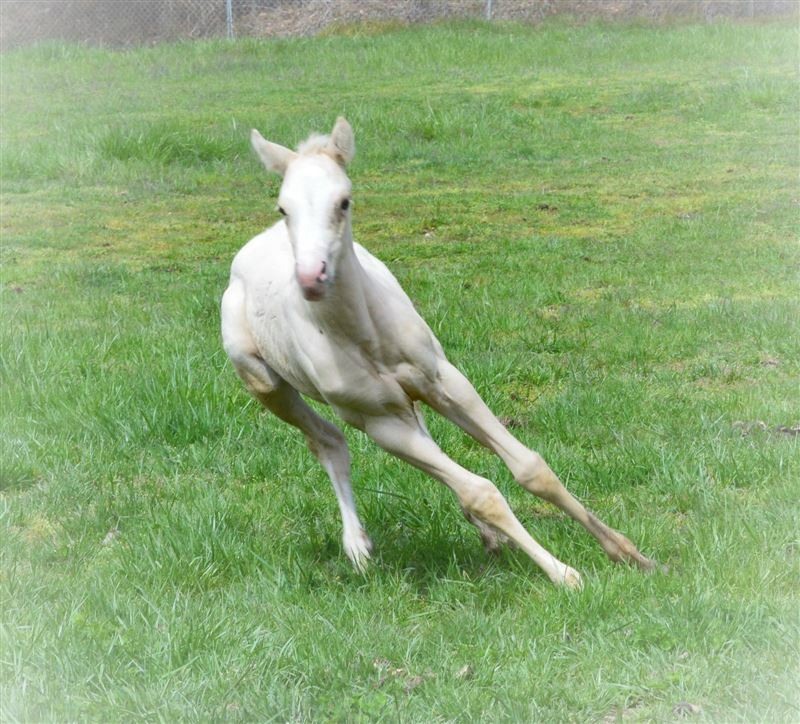 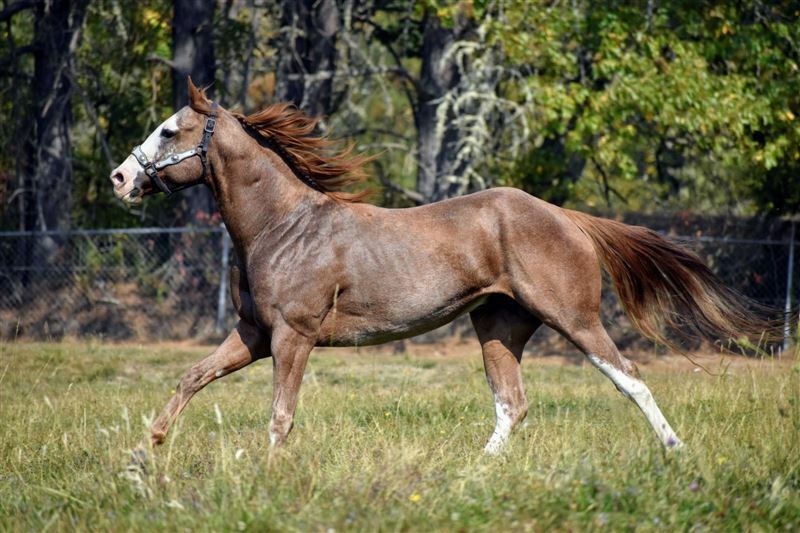 He is Heterozygous for the W20 dominant white dilution which creates his pretty roaning and tons of chrome! 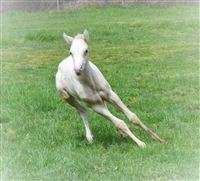 Offspring will be elligable for the Triple Crown 100, Brn4d, Southwest Desert Classic and VGBRA incentives. 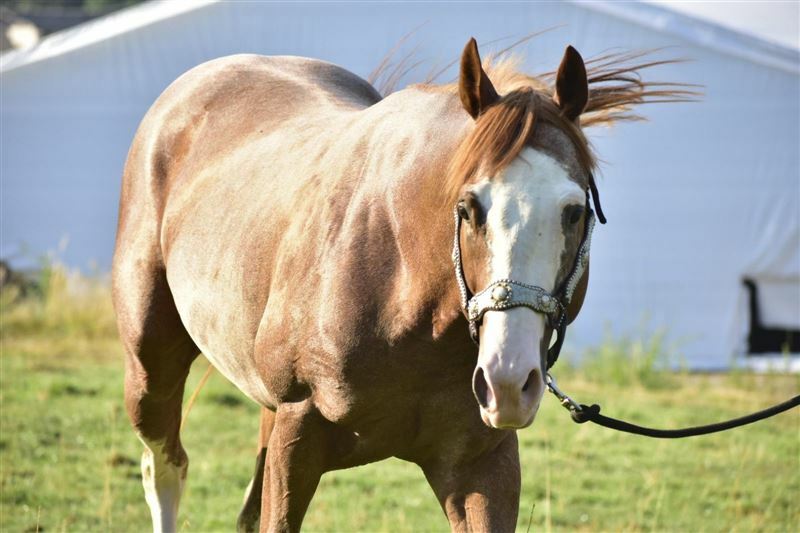 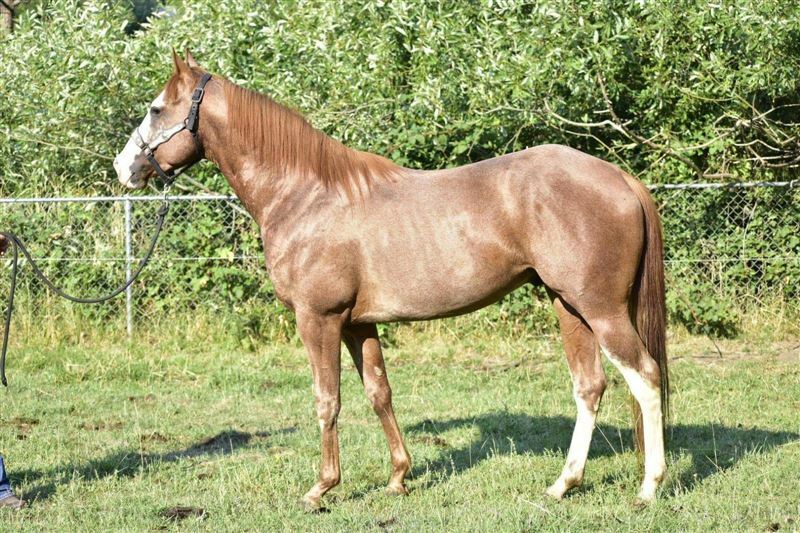 Stallion owner is offering a breeder incentive! 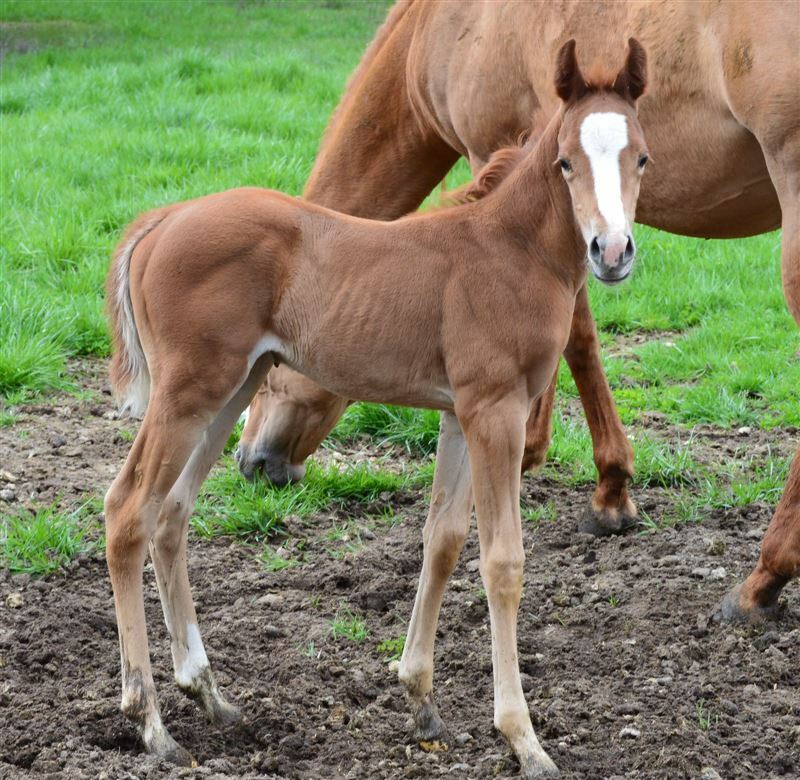 $1000 to the owner of the first foal with $10,000 Equistat earnings! 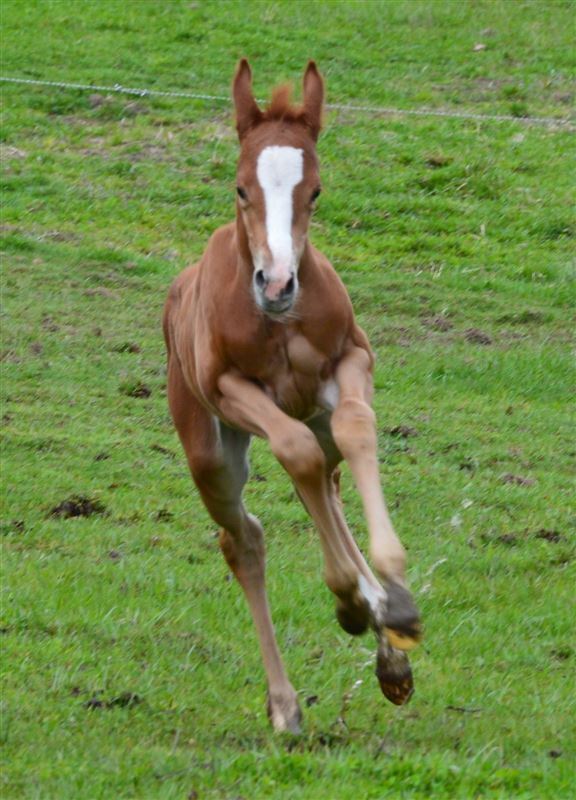 $2500 to the owner of the first foal with $25,000 Equistat earnings!! 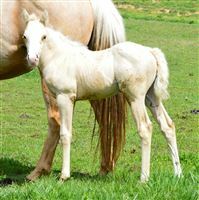 3/4 brother to DTF Way Ta Fire and Chasin kars both qualified for the American semi-finals this year!!! Multiple siblings with over 100,000 LTE!! 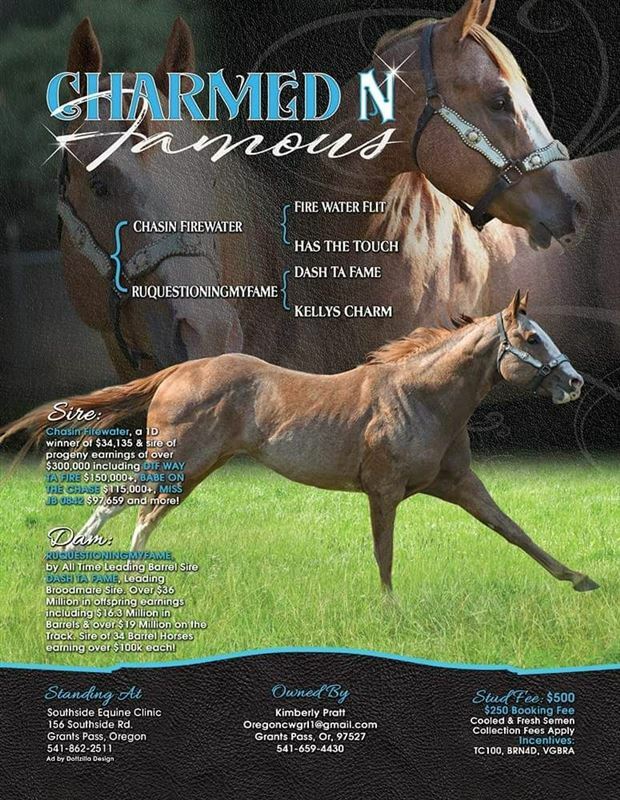 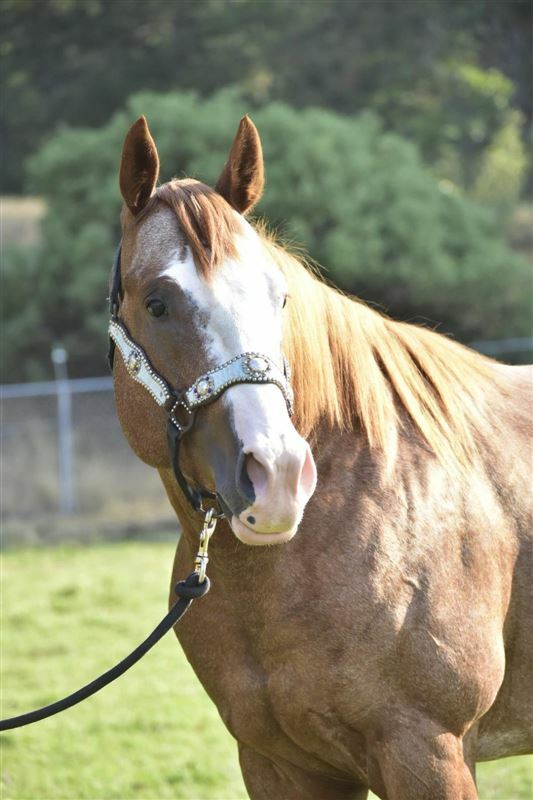 Sire: Chasin Firewater- #6- equi-stat leading money futurity sire, NFR sire, Multiple years in the equi-stat top 25 leading money barrel sire, Progeny earnings in excess of 580,000 per equi-stat. 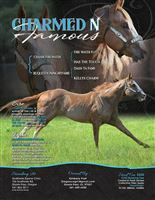 Maternal grandsire- Dash ta Fame- leading money barrel and futurity sire, foals earnings in barrel racing alone in excess of $9 million! 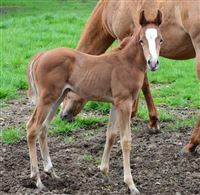 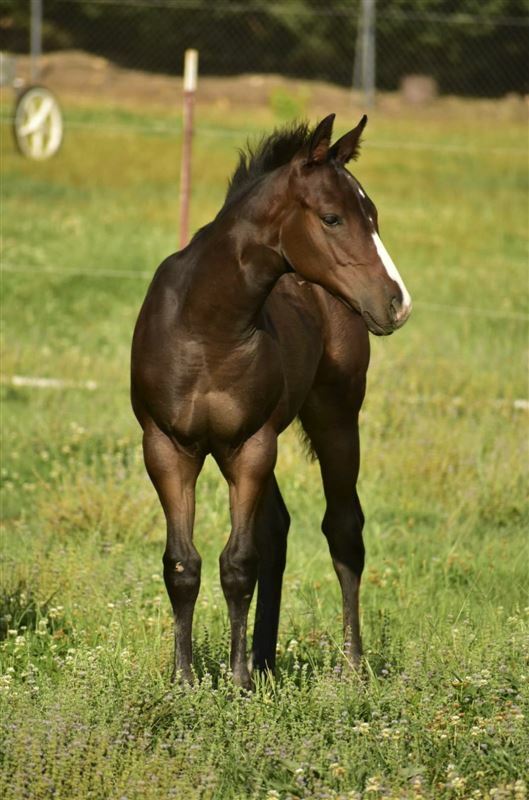 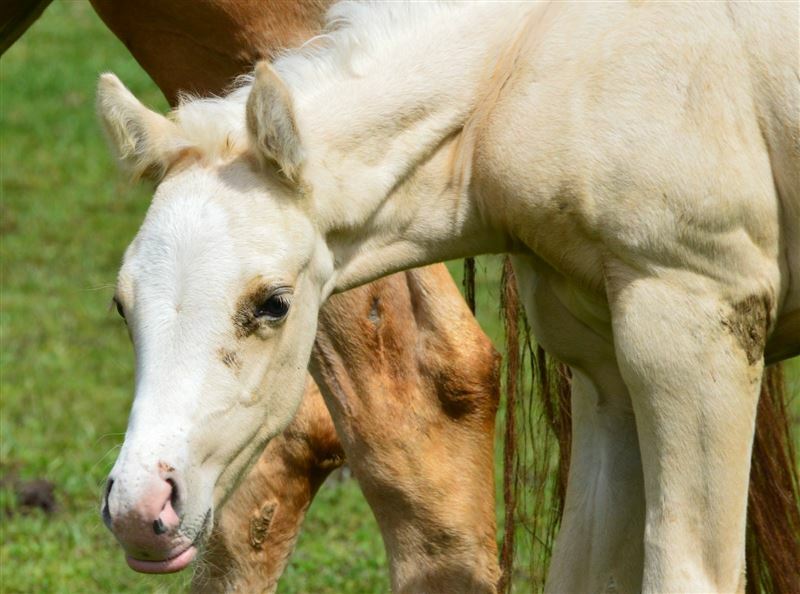 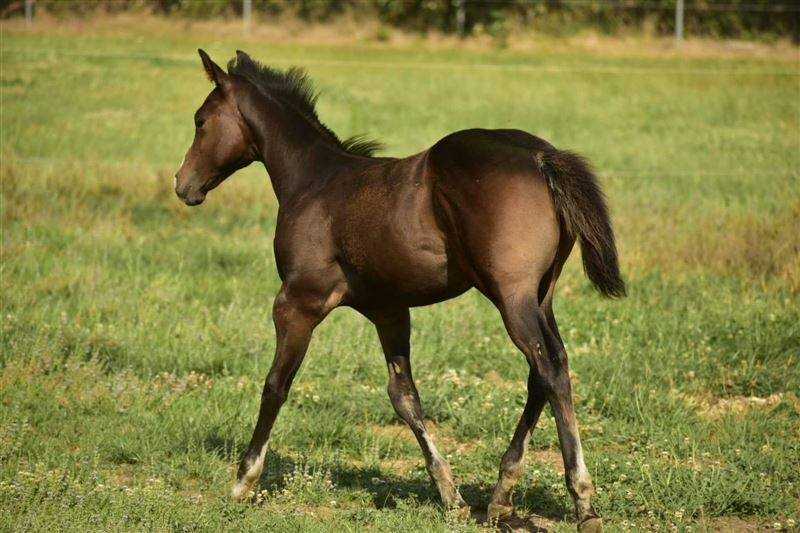 Foals available in utero o/o great mares!